Dragon fruit, the strange name but its benefits may surprise you. Yes, Today, I will be sharing 10 Amazing health benefits you can get from Dragon fruit. Dragon fruit belongs to a cactus family, considered indigenous especially white fleshy, scientifically called Hylocereus undatus. Dragon fruit is oval or pear-shaped scaly outer of bright pink color and encloses a white or red super bland part with black tiny seeds. Dragon fruits comes in three varieties, namely, red skin with red flesh, red skin with white flesh and yellow skin with white flesh. Not so sweet not so sour in taste, but very wholesome fruit. It's usually found in the tropical and subtropical region, the dragon fruit is one of those exotic fruits that offers ample of health benefits. It has limited availability in the market. Basically, it is native to Mexico and now its cultivation has spread to South-Eastern Asia. It is now common fruit in countries like China, Thailand, Australia, Isreal, and Vietnam. Other names of dragon fruit are- Pitaya, Moonlovers, Belle of the night, Cactus fruit, Dragon pearl fruit, lady of the night. Dragon fruit has a surprising number of nutrients. Dragon fruit is loaded with essential mineral, but particularly Phosphorus, Iron, Potassium, and calcium. Rich in antioxidants, a great source of vitamin C, full of polyunsaturated (good) fatty acids(omega-3 and omega-6-fatty acids), several Vitamin B as well as carotene and proteins. Lycopene present in dragon fruit which is responsible for its red color. Moreover, it has low calories and low in cholesterols. Do you know there is 1 gram of fiber per 100 gram of fresh dragon fruit? Let's take look at how Dragon fruit benefits the human body. Since dragon fruit is a great source of Vitamin C and also has many antioxidants, which helps in strengthening immunity. Keeps the body clear and boosting hemoglobin owing to its high antioxidant properties. If you like you're frequently getting sick, feeling under the weather, dragon fruit might be the answer for you. Dragon fruit has tissue forming property owing to its high fiber content. Also, phosphorus in this fruit helps to blood and tissue formation. Phosphorus, an important mineral found in your every cell of the body. Phosphorus needed for the body to make protein for the growth, maintenance, and repair of cells and tissues. Dragon fruit helps in improving platelet counts due to its antioxidant properties. Therefore, Dragon fruit is recommended for the Dengue patients. The benefit of increasing platelet count reduces the fever or also helpful in hemorrhagic fever. As dragon fruit is a good source of minerals like potassium, which helps to build strong bone mineral density. This exotic fruit is very beneficial for growing children to help to have strong bones and teeth. Dragon fruit is packed with antioxidants, which are very necessary to keep your skin tight and glowing. For ageless skin, you should include this fruit in your diet or at least once a week. This exotic fruit is used in natural remedies for many skin problems for centuries. Ancient beauty practices from southeast Asia believe that making a paste of dragon fruit flesh and using as face pack can help in slowing down the aging process. Phytonutrient in Dragon fruit helps in reducing the risk of Cancer. Phytonutrients like phytoalbumin, Vitamin C and minerals make this fruit highly valued for its cancer-preventing properties. Antioxidants help in fighting free radicals which are responsible for damage to the cells and even leads to cancer. Lycopene, in dragon fruit which helps protect against cancer. 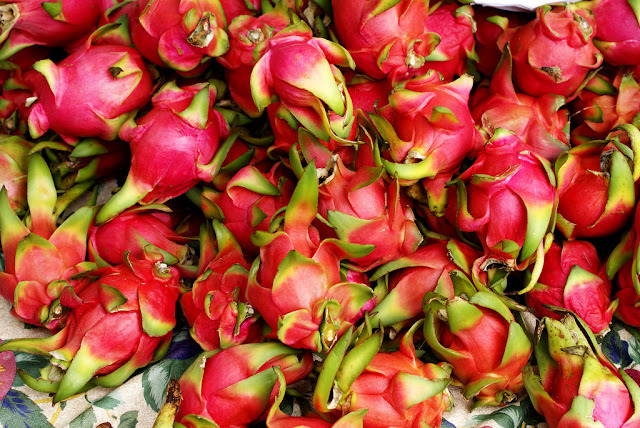 The phytochemical captin present in dragon fruit, used as a medication to treat heart problems. The study showed that dragon fruit may help in lowering bad cholesterols. Because dragon fruit loaded with antioxidant and fibers, they both contribute to keeping the heart healthy and young. Dragon fruit is low in calories yet offers numerous nutrients and high fibers. Fibers stabilize blood sugar levels and maintain normal blood sugar level. Dragon fruit is good source of Vitamin A. This helps your skin to maintain healthiness and improves vision power. Promotes faster healing of bruises and wounds. Dragon fruit possesses anti-bacterial properties, which found that it stimulates cell regeneration and speed up the healing, so wound and bruises heal at the increased rate. Consume Dragon fruit in moderation, as it containing fructose which may be harmful to your health if consumed in an excess amount. 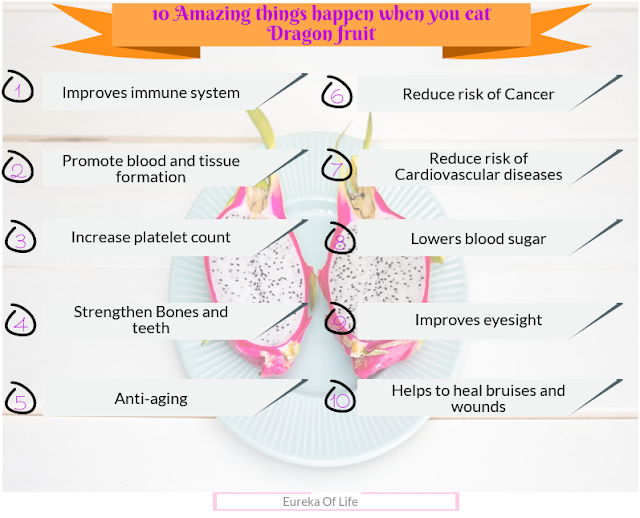 As you can see, dragon fruit offers amazing health benefits that people are still not aware of. You should definitely include this fruit in your diet and experience the benefits. Share your experience in the comment box below. To be frank I don't like the taste of dragon fruit however due to numerous benefit I have included this into my diet from past one year. I remember first time when I brought dragon fruit at my place my mom didn't like this fruit at all but after explaining it's advantage now she bring dragon fruit whenever she find in market and even she is liking dragon fruit too. One of my close friend has recommended me to have dragon fruit with honey which I'll be trying soon. 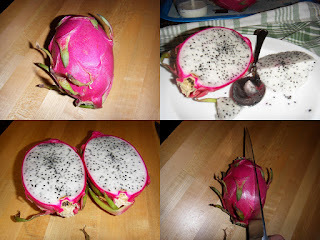 One the basis of above blog I recommend everyone to consume dragon fruit just like we consume banana or apple everyday. This is an unique information from the author , i never knew that it would be having such good effects and you shared it with beautiful information with benefits of such fruits. I have heard of dragon fruit but not heard of so much goodness in consuming it. Thank you for sharing this wonderful info. I just saw those at the store the other day and was like, "what the heck is that?!" Now I'm wishing I had bought some! Never eaten.it before but after.reading all these health benefits and having high blood pressure issues, I'll look for it and try it out. Thanks for sharing. Good infomation about Dragon Fruit. Truly it is very good for the health.Thank You for providing such a good content.